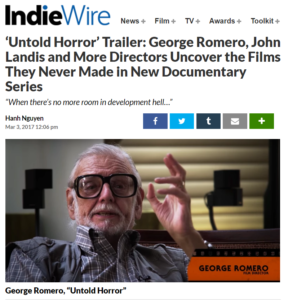 Last week, the team here at Untold Horror was very excited to “go public” with the project that we have been working so hard on for the last 18 months. We were thrilled to see such a passionate response from both genre fans, and media. On Facebook , we were excited to see that the “First Look Video” has been shared by over 200 people, and reaching tens of thousands. It was amazing to see so many excited horror fans around the world reacting to the project. Below you’ll find a sample of the coverage. Feel free to share any and all of the links and continue helping spread the word about Untold Horror! 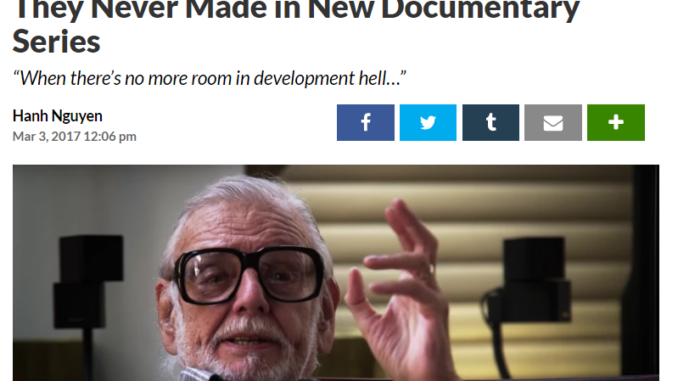 Former Rue Morgue Editor-In-Chief Launching Documentary Series UNTOLD HORROR!